McAuliffe and Boisen aboard NOAA's Bell M. Shimada on the first leg of an 8-day research cruise. 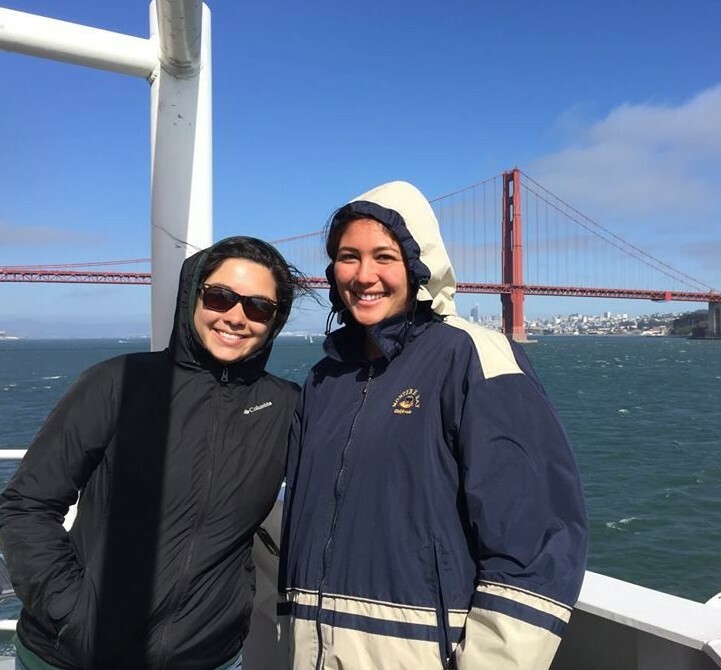 Cal State Monterey Bay graduate student Miya Pavlock McAuliffe and undergrad Olivia Boisen worked with scientists on NOAA's Bell M. Shimada research ship during its recent visit to the Monterey Bay National Marine Sanctuary. McAuliffe and Boisen are involved in the National Oceanic and Atmospheric Administration’s Center for Coastal and Marine Ecosystems. Their participation in the research cruise was sponsored by NOAA's Educational Partnership Program with Minority Serving Institutions. "Participating in this research cruise not only provides our students with experience in conducting shipboard research, but also experience conducting research with a federal agency that monitors and manages coastal resources,” said Corey Garza, associate professor in the CSUMB School of Natural Sciences and CSUMB campus principal investigator for NOAA's Educational Partnership Program with Minority Serving Institutions. 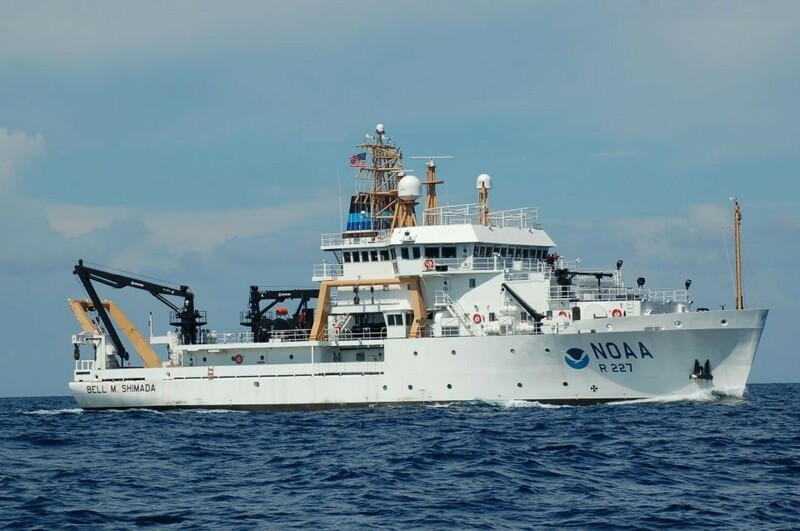 During mid-July, the Bell M. Shimada, a state-of-the-art fisheries survey vessel that studies marine life, sea birds and ocean conditions along the Pacific Coast, was on a 10-day mission to study the Davidson Seamount Management Zone, located about 70 miles southwest of Monterey. Scientists sought to learn more about the impact of the Davidson Seamount, an underwater mountain that rises 8,000 feet above the ocean floor. The Davidson Seamount is 70 miles southwest of Monterey. The underwater mountain rises 8,000 feet above the ocean floor, relatively the same height as the Sierra, but the summit is nearly a mile below the ocean's surface. This type of experience can ultimately make a student highly competitive as they begin to pursue subsequent graduate school or professional opportunities." When ocean currents strike the mountain, they push nutrients to the surface, helping provide sustenance for seabirds, whales and fish. Scientists aboard the ship did surveys of fish and krill, observed marine mammals and seabirds, collected oceanographic data through water sampling and gathered micro-plastics to better understand the impacts of pollution on the sanctuary.